The structures are manufactured according to UNI, they are original and patented. The materials used are galvanized Sendzimir or hot dipped galvanized . Wheelbase of 2.00 to 2.50 – 3.00 – 4,00-5,00-6,00 mt. If you wish to receive further information (height of the gutter, height of the ridge, etc…) please contact us. Su forma de tipo gótico permite una mejora significativa en el rendimiento: más luz, más resistencia, no gotea y un mayor volumen. Las instalaciones cumplen con las normas vigentes. El material utilizado es galvanizado Sendzimir o galvanizado en caliente. La distancia entre los postes pueden ser de 1,00 – 1,50 – 2,00 – 2,50 – 3,00 metros. Gardenitalia ofrece una amplia gama de servicios para crear, diseñar, inventar y mejorar los centros de jardinería con productos de primera calidad. 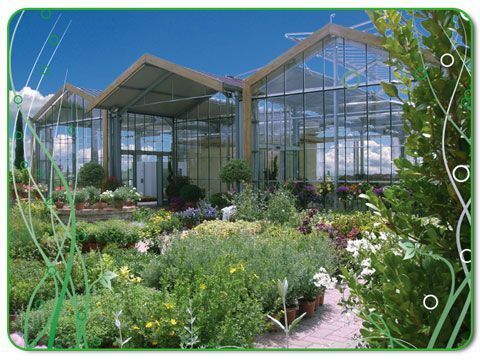 Suitable for all types of applications, glass greenhouses are very resistant and have excellent results in low light areas. The material used is all hot dip galvanized. Part of the roof surface is formed with photovoltaic panels. The side opening allows for ventilation and helps to perfect the optimum cooling of the panels also ensures an adequate level of internal light in the greenhouse. Iron and glass structure, formed by square tube that are placed on the modular armor of 3.20 meters.